Stun guns and tasers are each different. 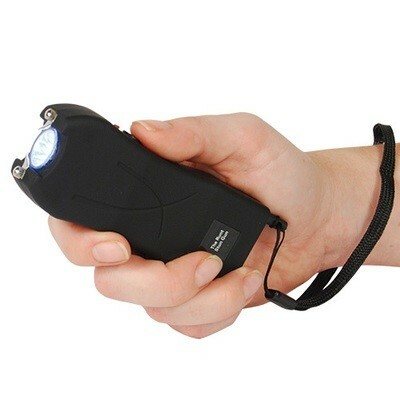 The stun gun has electrodes on the hand held device which is pressed against an attacker. Stun Guns can be used multiple times before needing recharged or a battery replacement. The Taser fires two small dart-like electrodes, which stay connected to the main unit by conductive wire as they are propelled by small compressed nitrogen charges.The air cartridge contains a pair of electrodes and propellant for a single shot and is replaced after each use. Pepper Spray has been found to better defend yourself from a distance.